There’s a lot to see and do in the Tucson area! PTG is offering two organized tours as part of the convention activities. Register for tours by June 1 to guarantee your spot. We begin with a visit to the cool, air-conditioned Arizona State Museum to experience the ancient indigenous and enduring Native cultures of the region. Afterwards we enjoy a terrific lunch at the historic Tanque Verde Ranch. An expert guide and driver will then take you on a spectacular tour to the top of the Santa Catalina Mountains to Mt Lemmon. Includes transportation, Arizona State Museum admission, lunch, and Mt. Lemmon tour. Cost $148 per person. Explore aviation history at Pima Air & Space Museum, home of the largest privately-owned collection of historical aircraft in the country. From a full-scale model of the Wright Bros' 1903 Wright Flyer, to a mock-up of the world's fastest aircraft - the X15 - this museum is sure to interest everyone. More than 200 military and civilian aircraft are here on display, along with engines, flight simulators, uniforms and other aviation memorabilia. Includes roundtrip transportation and museum admission. Lunch on your own at the Flight Grill, the Pima Air & Space Museum's restaurant. $65 per person. Looking for more stuff to do? Check out www.visittucson.org for other great attractions. Remember also, the PTG special hotel rate is good from July 5th to July 17th in case you’d like to come early or stay after. Register online and find class descriptions , Institute schedule , full convention schedule , hotel reservation link and first-time attendee tips at convention.ptg.org . First-time convention attendee? PTG members can save $300 on registration! Only available when you register by calling 913-432-9975 and ask for the First-Timer Rate. New PTG member? Use your $200 off coupon for your registration. Only available when you register by calling 913-432-9975 and tell us that you have a new member coupon. Interested in exhibiting as part of the 2019 Convention? Information is available under the Exhibitors tab at convention.ptg.org . Bookmark convention.ptg.org and check back frequently for updates from the registration page. As always, a Convention Roommate Connection community is available for those interested in sharing rooms. Check out the Convention Rideshare Connection community if you'd like to carpool. Interested in a free registration for the 2019 PTG Convention? The Piano Technicians Guild Foundation offers scholarships for a convention registration and an exam fee for Associates who have passed two RPT examinations and plan to take the third exam at the annual convention. New this year, you can now apply online. A downloadable application is also available if you prefer to mail your application. Visit the PTGF Associate Scholarship site at ptgf.org and click on Scholarships . Applications must be received at the Home Office no later than April 1 to qualify. Please join us in welcoming Kristen (Kris) Schweizer to the PTG Home Office staff. She was born and raised in western Kansas, moving to the Kansas City area six months ago. She has one daughter and a spoiled cat named Minerva. 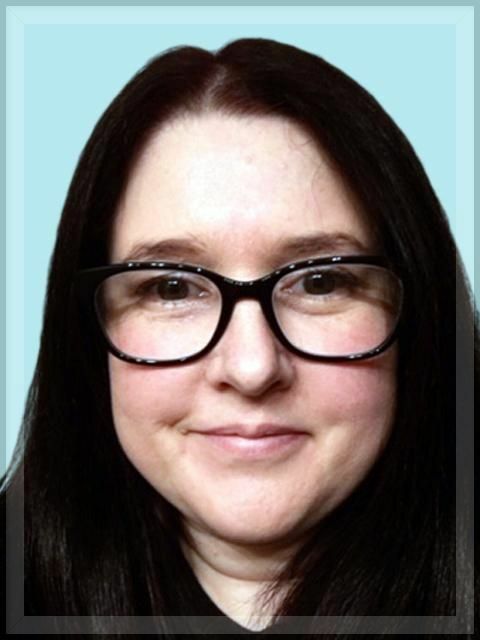 In her evolving role, she’ll be working with the PTG Board of Directors, Council, PTGF, and IAPBT, taking over all aspects of the PTG Store, and working as our backup in accounting and assistant to our Executive Director. Her direct line is 913-276-5209 and e-mail kris@ptg.org . The MusicLink Foundation is a non-profit organization that links promising students in need with professional music teachers who volunteer to teach on partial to full scholarship for as long as these students wish to learn. The MusicLink Foundation also assists in the purchase and repair of instruments, moving costs for donated pianos, camp scholarships for our students, and coordination and expansion of programs into new communities across the country. Foundation funding relies on contributions from the public, in-kind instrument donations from business partners and grants. The MusicLink Foundation has served over 6500 students in 50 states and 4 Canadian provinces with teachers donating over 450,000 hours of instruction, equivalent to over $11 million in in-kind service to the program. A number of PTG members and chapters have partnered with MusicLink over the years to help provide pianos. If you are interested in helping, visit them at www.musiclinkfoundation.org . The Home Office just wrapped up a 2-1/2 day voicing class at the beginning of March. Led by RPTs Jim Busby and Vince Mrykalo, Voicing: Pragmatic, Intuitive, and Inclusive Tone Building took a different approach from most voicing classes. 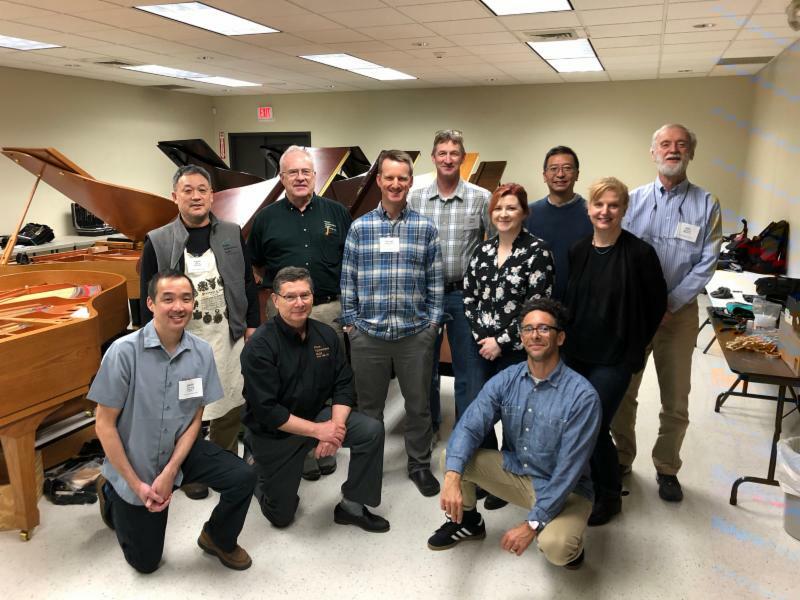 The nine participants were able to hear the transformation of every piano used in the class through their own comparisons and through feedback from two concert artists who played the pianos after improvements were made. Make a difference in your organization by volunteering for a PTG committee. All members are eligible to serve. Contact your RVP or PTG Vice President Paul Adams ( vp@ptg.org) to volunteer or recommend someone else. See a committee list in the Member Area at www.ptg.org . Council books will not be mailed this year due to the short production timeline set forth in Bylaws. Instead, they will be posted on www.ptg.org by June 5. A notice will be sent when it’s available. Watch your mail or region community at my.ptg.org for the latest Winter RVP Newsletter. It includes a summary of actions taken during the Winter Board meeting and a list of coming events. Chapter and RCO deadline for filing IRS 990-n tax return. Final chapter and committee Bylaws proposals due to the Bylaws Committee. Any chapter or committee needing assistance in wording proposals should contact the Bylaws Committee prior to the deadline. Send proposals to bylaws@ptg.org or visit the Bylaws Committee page at www.ptg.org. Please use the bylaws template to submit a bylaws change. Council delegate and alternate names due to Kris Schweizer (kris@ptg.org). Download a delegate form from Forms and Documents in the Member Area of www.ptg.org. Committee and Task Group reports due to Kris Schweizer (kris@ptg.org). Download a report form from Forms and Documents in the Member Area of www.ptg.org. PTG Board of Directors agenda items due to Kris Schweizer (kris@ptg.org). PTG Foundation Board of Directors agenda items due to Kris Schweizer (kris@ptg.org). As adopted in 2005, the Council Book of Resolutions states, "Home Office and PTG membership shall be environmentally aware." To that end, the HO will be eliminating the printing and mailing of such things as newsletters, supplements, invoices and monthly statements over the course of the next year. Please update your profile online or contact the HO if we do not have your current email address.